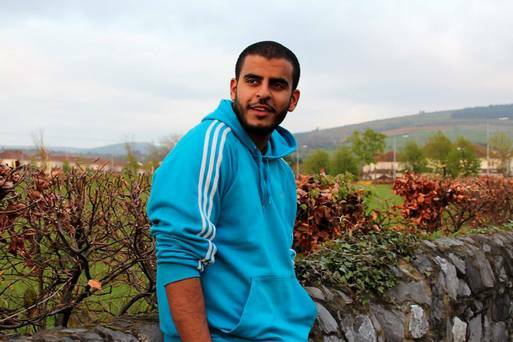 On the 30th of March 2015 the trial of Ibrahim Halawa in Egypt was adjourned. The trial in question has been postponed until the 26th of April: this is the fifth time it has been postponed. Ibrahim Halawa is an Irish citizen, who was charged (thus far without proper trial) of murder and of participating in a violent and illegal protest. Mr Halawa is now 19 years of age and has been imprisoned for over a year and a half; making him legally a minor when he was arrested. He was originally arrested along with three of his sisters who were subsequently released and have since been campaigning for his release. He, along with the hundreds is imprisoned with, may all face the death penalty for unwarranted allegations. Halawa’s case brings to light a number of issues. Firstly, that of Irish prejudices. The welfare of Ibrahim Halawa should be of utmost importance to the Irish Government because Halawa is an Irish national; a student from Dublin. The Egyptian Government have broken almost every international law and violated several of Halawa’s rights – yet, it appears that the Irish Government are being slow to act. Many ask if Halawa had a traditional Irish name or was a Catholic, would the Irish Government be moving more quickly to protect their citizen and fight for his freedom. The reasons behind Halawa’s involvement in protests in Egypt or his personal beliefs should become unimportant when rights are violated to this extent. In a recent statement from Minister for Foreign Affairs Charlie Flanagan said Mr Halawa’s welfare remains “a primary concern.” He said he supported a petition of release submitted by Mr Halawa’s lawyers and added that “I want to see Ibrahim back in Ireland with his family and completing his studies.” Claims that his department are doing all they can to work towards a “positive outcome” were brought into question by Halawa’s sisters in an interview with Ryan Tubridy on RTÉ’s Late Late Show, and through numerous protests and marches that have been held throughout Ireland in support and solidarity with Halawa. Media coverage of Halawa’s imprisonment has grown as the time slowly passes for the young student; and now we wait until the 26th of April to hear more. But that is no reason for the Irish Government to wait. They have been given time; and so should use it to fight for their citizen’s rights.